I've been guilty of plugging my own academic work on here from time to time, which I suppose is fair enough because this is my blog, but today I thought I'd blog on someone else's work. 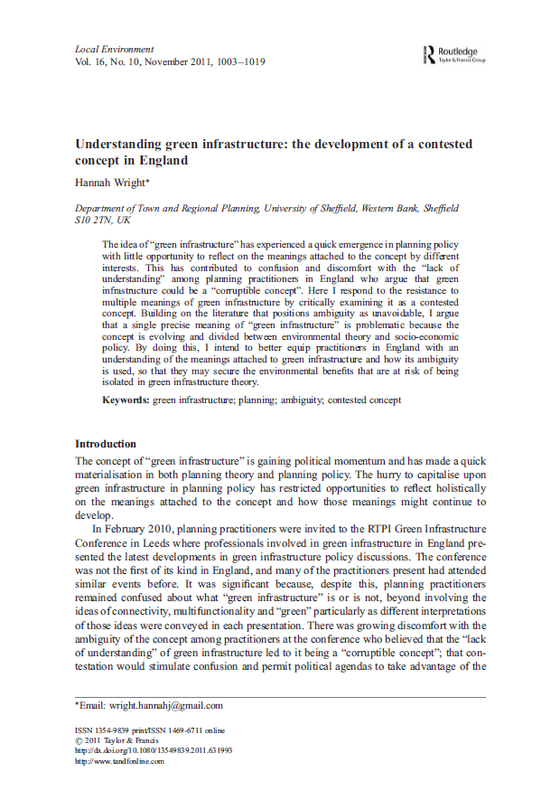 Hannah Wright, a recent graduate from my Department (Town and Regional Planning, University of Sheffield) published a shorter version of her third year extended essay in Local Environment, an international peer-reviewed journal. Hannah now works for Arup in London but the paper below was written entirely during her time as an undergraduate at the University of Sheffield. I'm aware of undergraduates publishing work in scientific journals as part of larger teams, but I've never heard of a sole-authored publication in a peer-reviewed journal by a social science undergraduate. Hannah's work was obviously exceptional, and it is rather unsettling in some ways to see an undergraduate's work in print (!) but ultimately it is just very exciting to see this happen. I could claim that it's all down to the brilliance of the teaching here at TRP or that it's all down to my expert tutoring but I think it's fairer to say that we just provided the right environment for this kind of work. I'm not expecting this to happen again any time soon (though we do have lots of bright sparks on the UG programme) so that's why I thought it blog-worthy. What does the paper say? 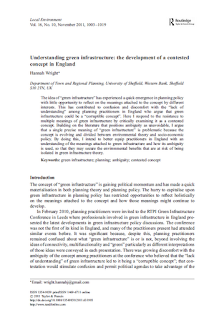 Well, it's about green infrastructure and the contested meanings attached to it in English planning policy. P.S. I'm happy to report that the original essay did receive a First Class mark! Every ten years, data nerds in the UK get very excited by the prospect of getting their hands on new Census outputs. If you're lucky enough to be Canadian then you can get excited every five years but for many of us (Americans and Chinese included) it's the decennial Census that really does the trick. In the UK we can expect the first results in July 2012 according to this document. But what about in between Census dates? This is where small area data analysis becomes tricky. That's why the ONS publish mid-year population estimates for small areas in England and Wales. I've been looking at data for London again, so I thought it would be interesting to see which small areas have increased in population and which have declined in the period from 2001 to 2010 (the most recent data). Some map results below, but it is interesting that 11 areas (LSOAs) have more than doubled in population during this time. 19 areas have decreased in population by 25% or more during the 2001 to 2010 period. Overall, the population of London has increased by hundreds of thousands between 2001 and 2010. According to the mid-year population estimates it has increased by approximately one Manchester in population terms (i.e. about 500,000 - equivalent to the City of Manchester population in 2011). That's about a 7% increase. The data are somewhat experimental but if we aggregate up to Borough level, then Brent and Newham both show losses (about 5% and 4% respectively) whilst City of London (60%) and Westminster (25%) show the largest gains. 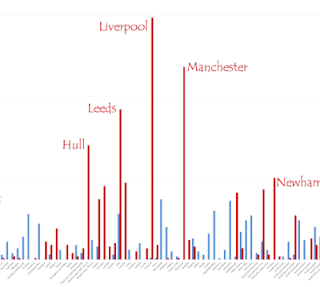 This data for London - and lots more - can be found on the pages of the excellent London Datastore.